Hi! Thank you for stopping by, I'm so glad you're here. The sketch is up at Tuesday Morning Sketches and it's a really easy one. 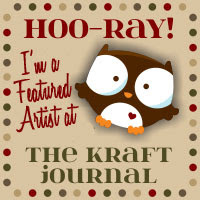 Debbie is sponsoring and it's a beautiful stamp set by Graphic 45. I think my card is a little busy. I shouldn't have added the patterned paper as the base. I like it on the flower. This was an easy card to make and would be an easy one to mass produce. Please join us at Tuesday Morning Sketches. Hi! I hope you're doing well. Thank you for stopping in - I am so glad you're here because I have such a fun card to share with you today. I am so excited it turned out really well! The sketch is up at Tuesday Morning Sketches and I got super creative with it. 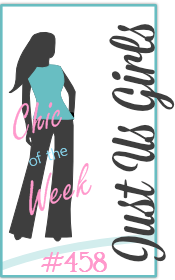 Our sponsor this week is Jenee and she's offering a great prize so be sure to head on over to TMS to check it out! My card features embossing, punches, dies and glitter. Isn't this lovely?! I hope you like it as much as I do. I picture this door being at the front of a lovely townhome. I used for my base a brick embossing folder by Darice. My door is made from this beautiful red card stock I picked up at JoAnn's when it was on sale a month ago. The bottom layer measures about 2 1/2 inches wide and I barely touched the edges with a bit of Barn Door Distress Ink. For the 2nd layer I deepened the red a bit with more Barn Door Distress Ink and then the top layer I, again, barely inked the edges. This gave it the depth I was looking for. The wreath I made from circle dies and a holly leaf punch that I have had for forever and a day. Then I decorated it with Candy Cane red Stickles and a bow by Mama Element (die). The card measures 5 x 7 so I had to emboss 2 pieces of card stock to make the brick panel. There was a slight seam but that was easily covered with gold glitter "garland" which is an old die from MFT Stamps. 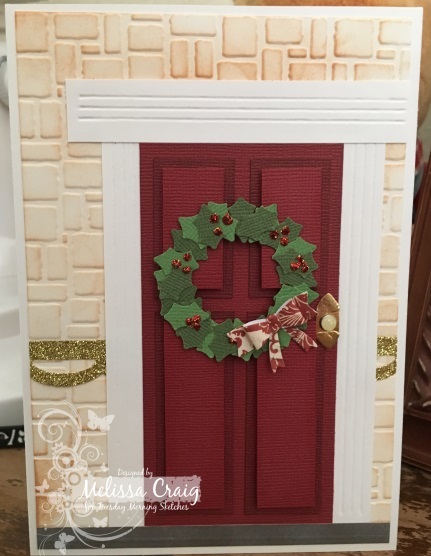 I created the door frame with strips of white card stock that I embossed lines into using my Scor-Pal. Finally the inside of the card has my sentiment - a die from Pink & Main using some Heidi Swapp glitter paper. Please join us at TMS and be sure to visit the team's blogs and leave them some love that they deserve so much! Have a great day! Good Morning! Thank you so much for stopping by. I am so glad that you're here. 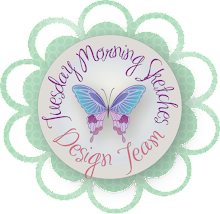 The sketch is up at Tuesday Morning Sketches and our sponsor this week is A Day for Daisies. 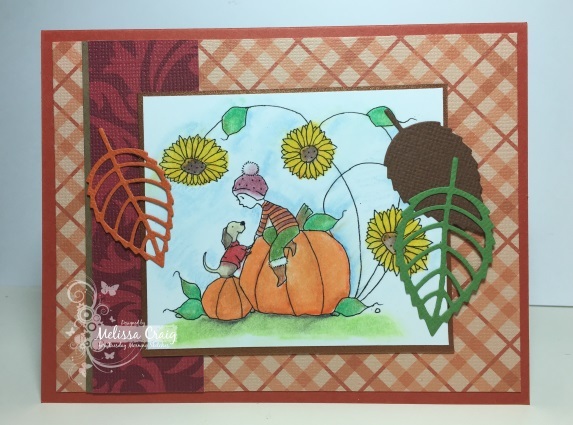 My card is featuring a very sweet image called Playing in the Pumpkin Patch. I had a lot of fun creating this card. I didn't work in foil like I was originally thinking, but I do love how this card turned out. I colored the image with my PrismaColor colored pencils and gamsol. I'd forgotten how much I love the look of blended pencils. I am using some great fall colors, a burnt orange for the base and some pretty colors that I picked up when card stock was on sale at JoAnn's. 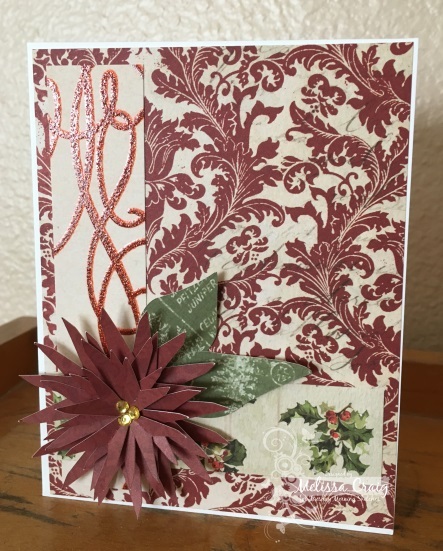 The leaves are from a die set by MFT Stamps. 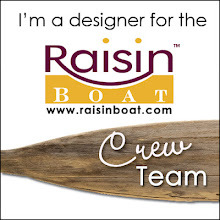 You simply have to go visit the TMS blog and see the design team's creations. They are Ahhh-maze-ing! Wow! I know I have the best team around and they really outdid themselves this week. Hello! Thank you for stopping by. The sketch is up at TMS and it's another great go to sketch by Debbie. 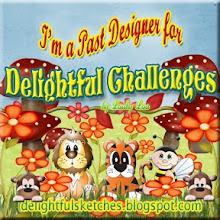 Our sponsor is Bugaboo Digi Stamps. I decided to keep my card pretty clean and simple. I also tried to do some embossing using some great dies from MFT Stamps, but for the life of me I couldn't get the sandwich right to emboss correctly. So it's very subtle. I apologize for the lighting, too. I couldn't get that right either, it started getting gloomy outside. I'm using some Kraft cardstock for my base that came in the Fall Hero Arts kit. I didn't like it, it's more a light layering weight than a base weight. 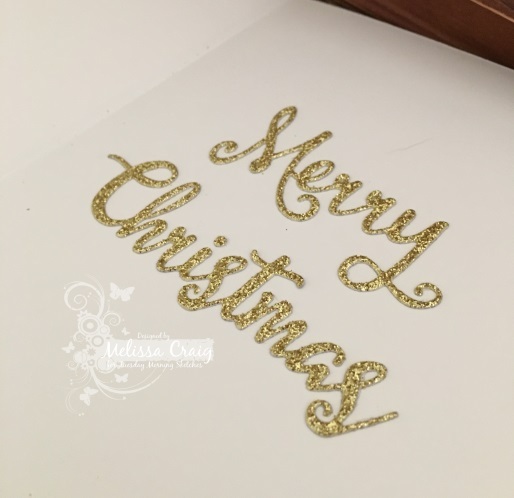 I also used some beautiful copper card stock that came in the kit as well and I do love this! The image is Fall Fence by Bugaboo. I did some simple coloring with Copics. I think it's a cute, pretty much a single layer card that will be great for a notecard. Please be sure to visit TMS blog to join us and to look at all the wonderful creations by my amazing team.